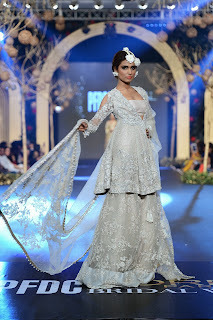 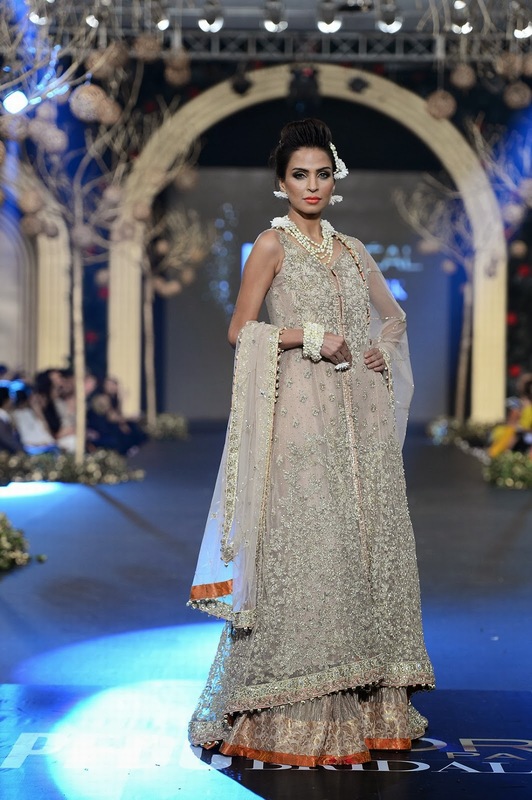 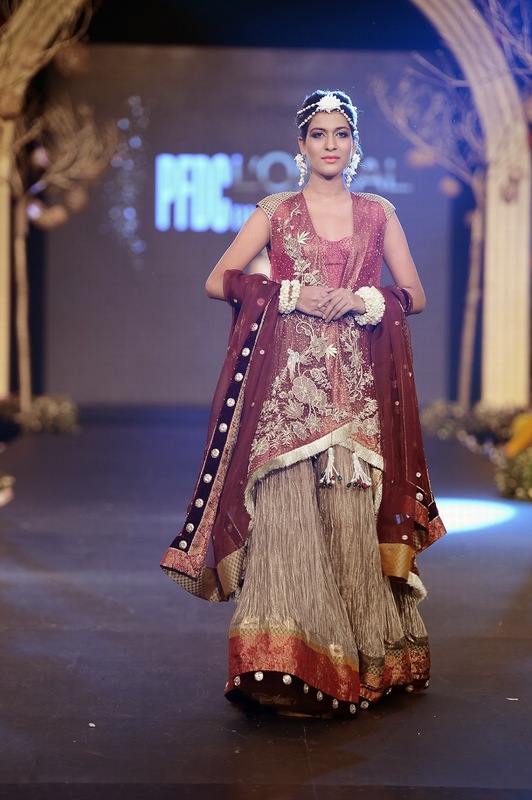 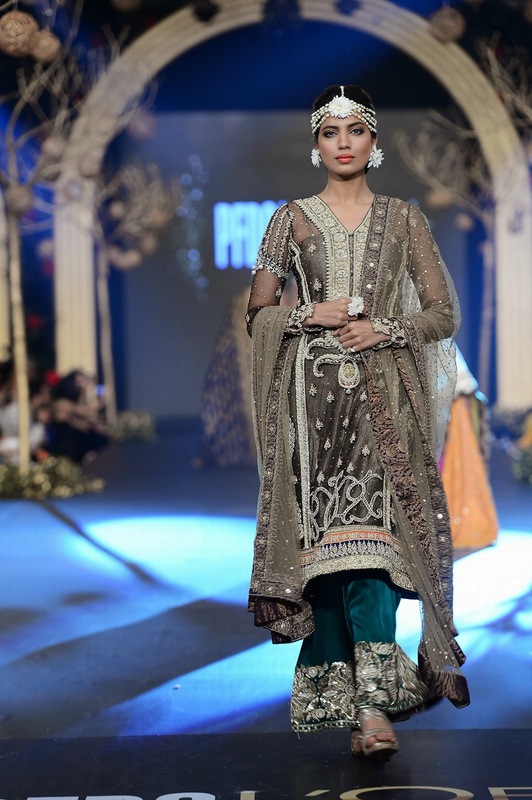 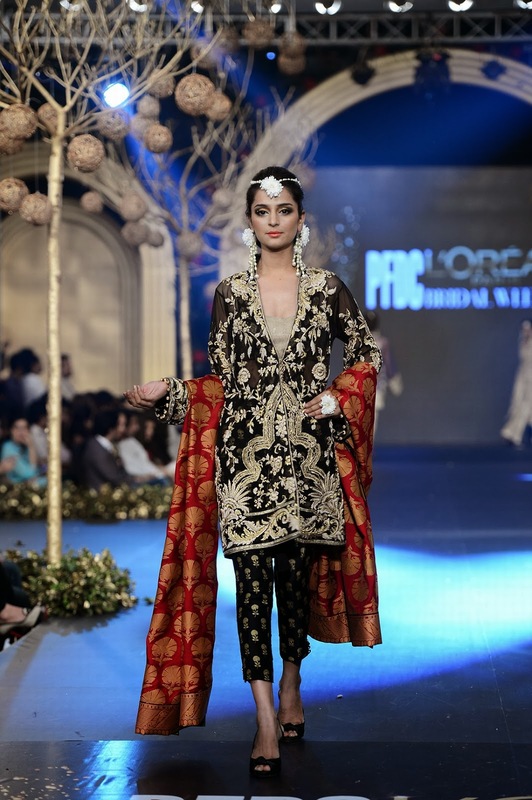 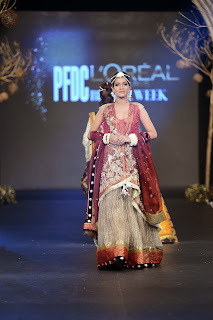 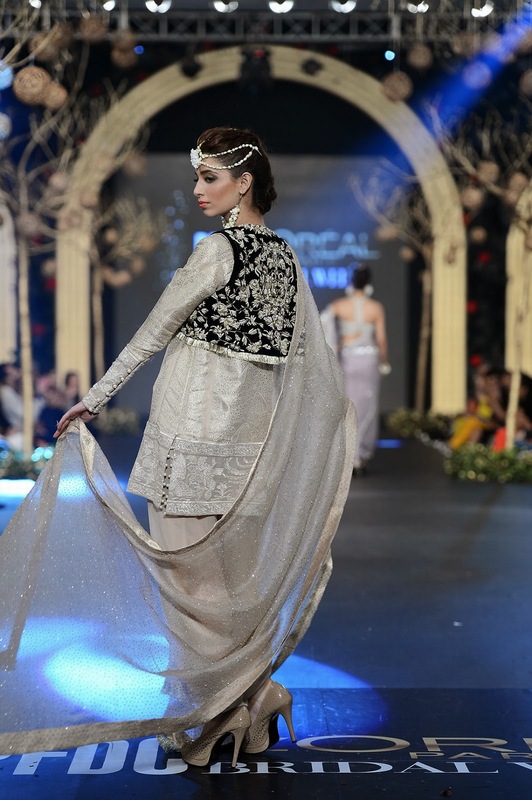 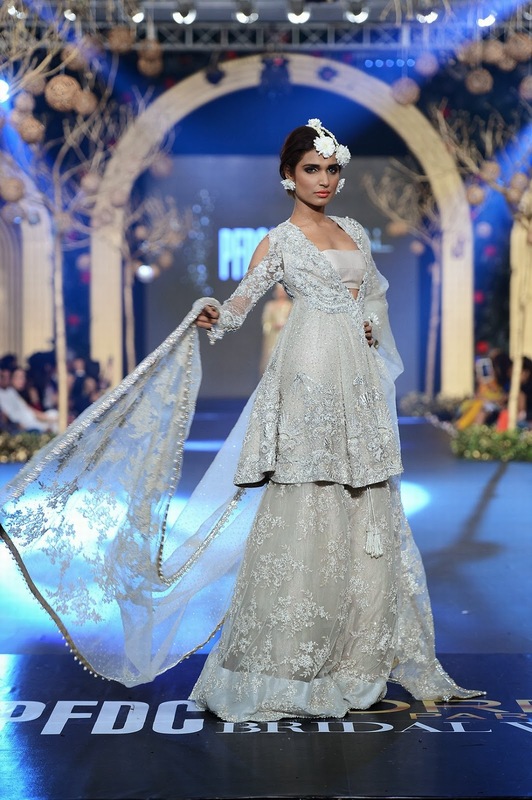 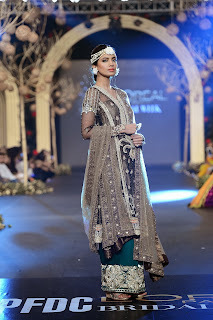 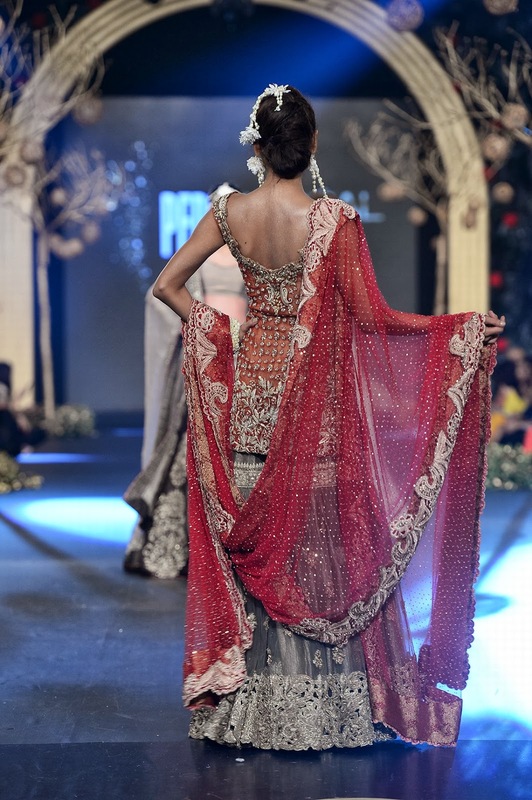 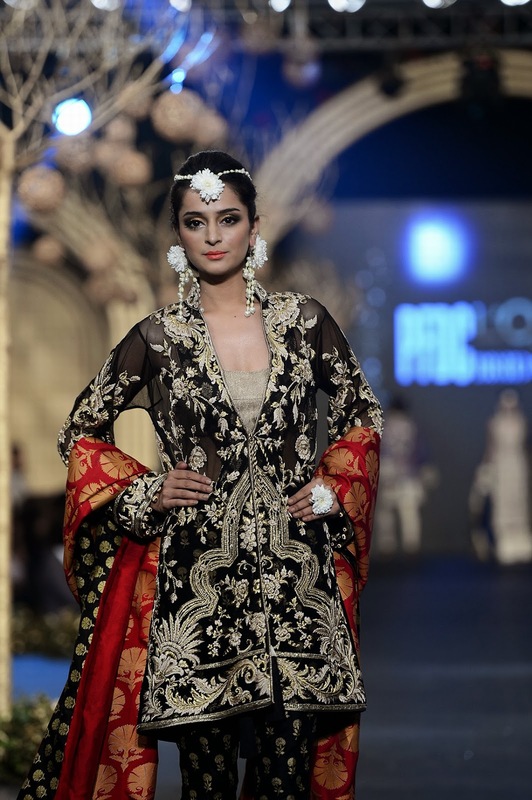 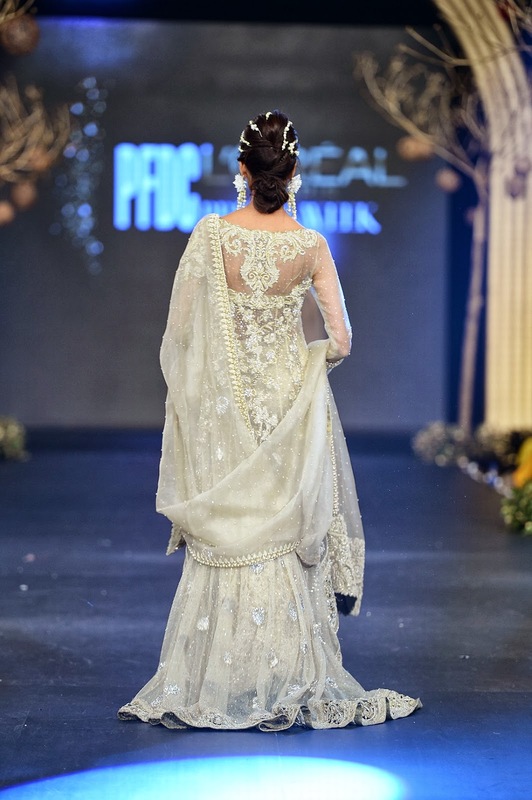 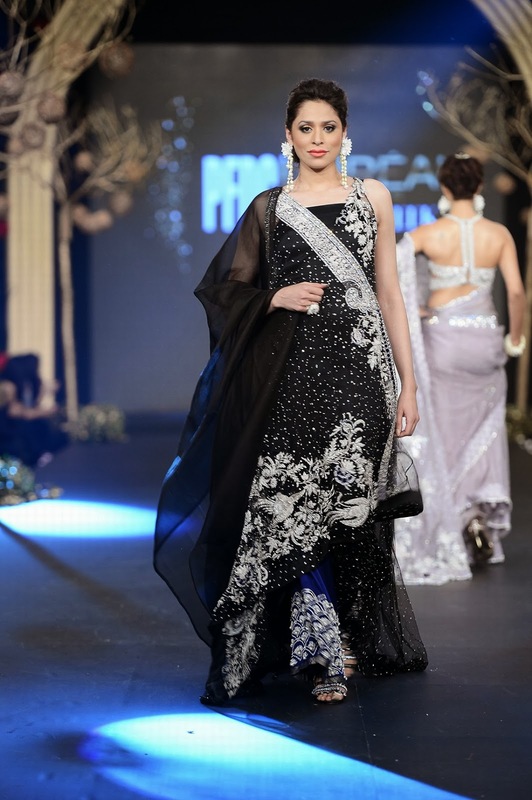 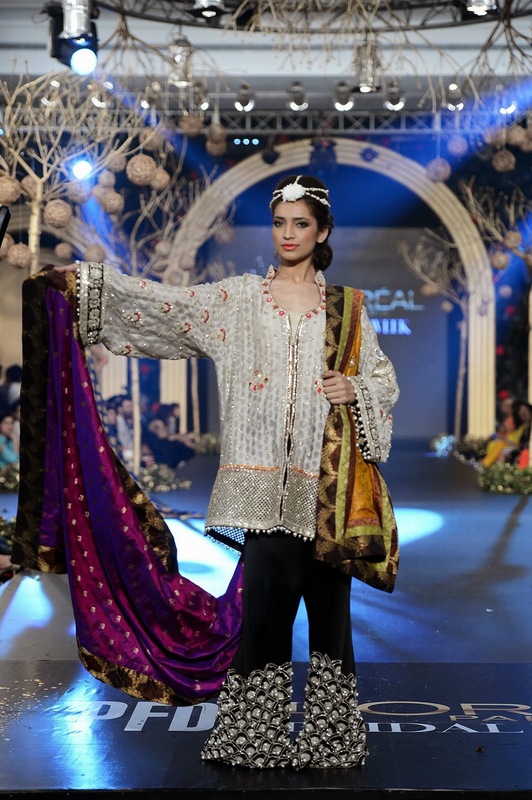 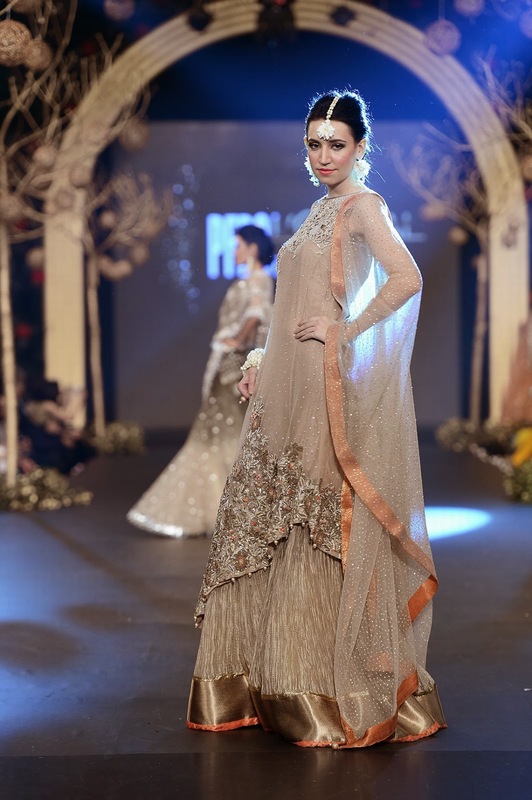 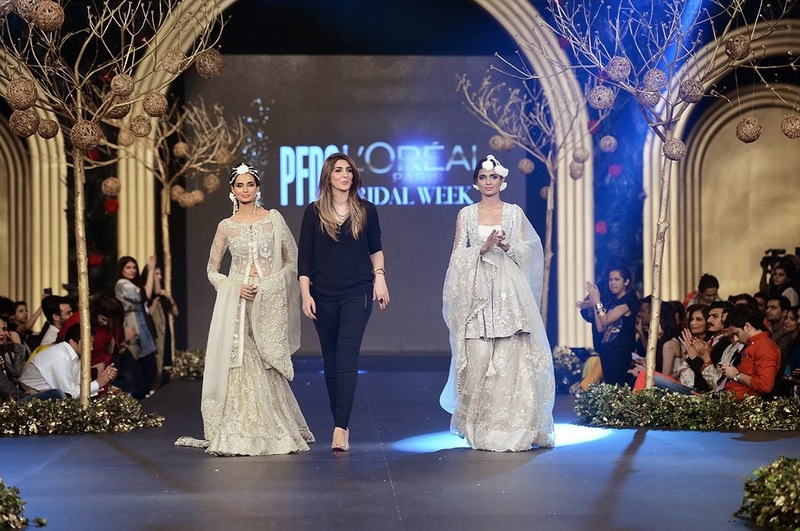 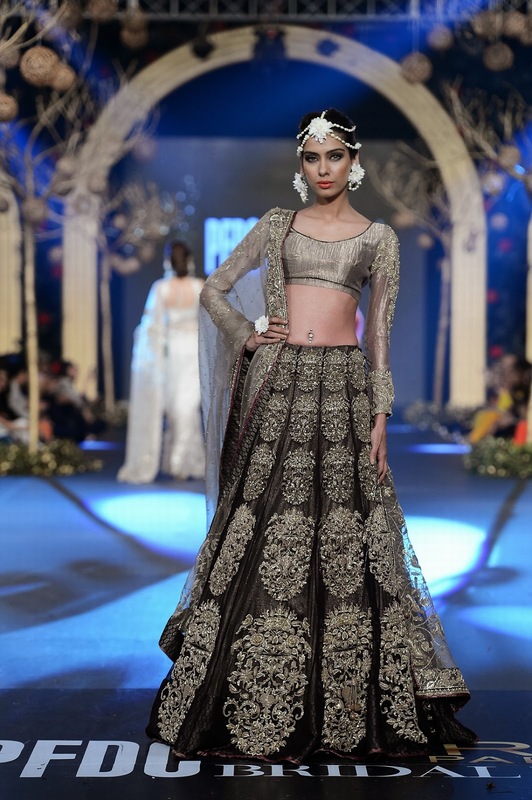 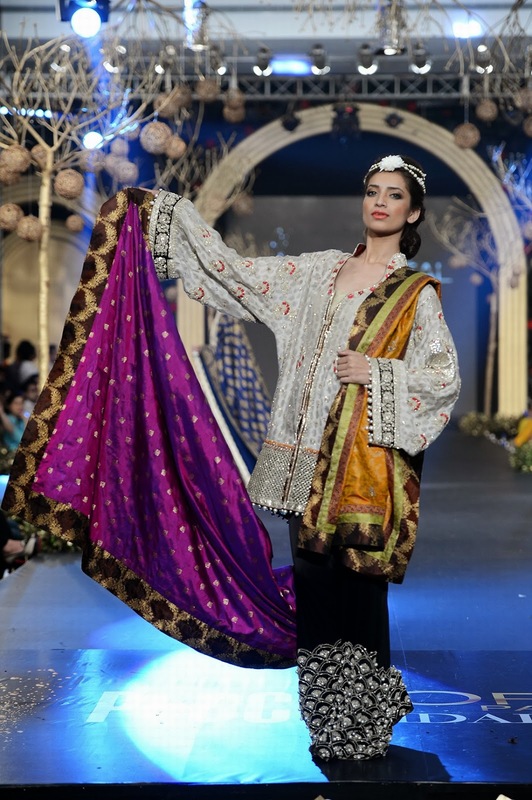 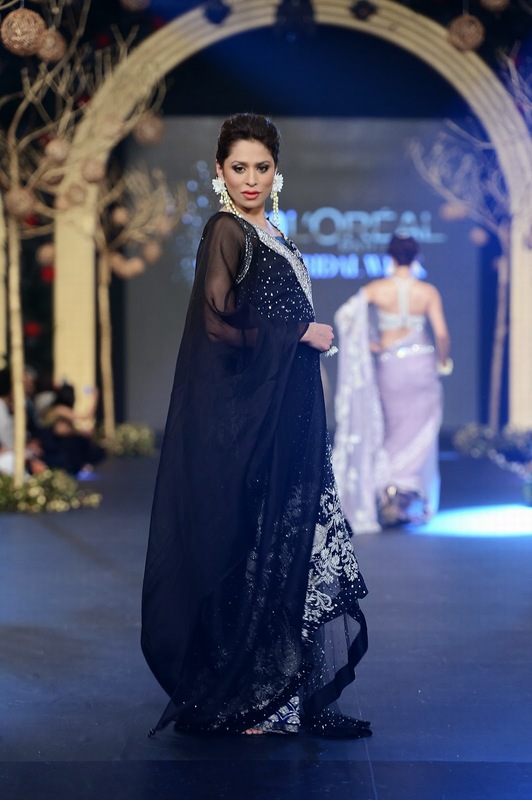 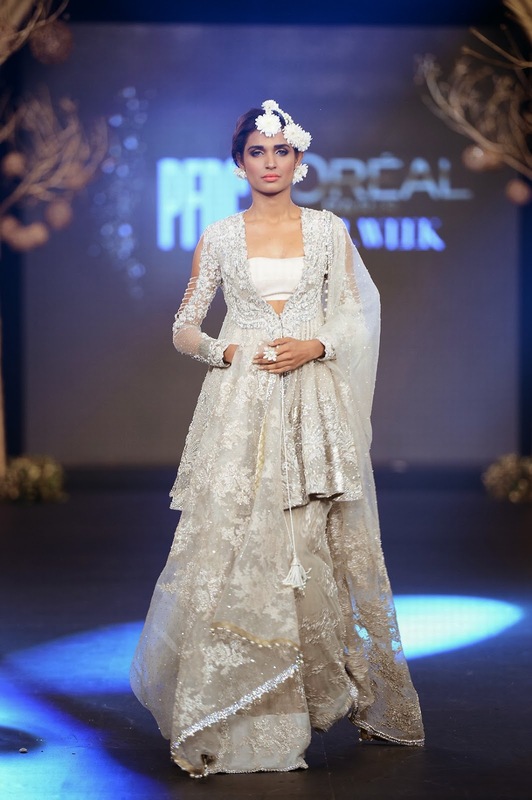 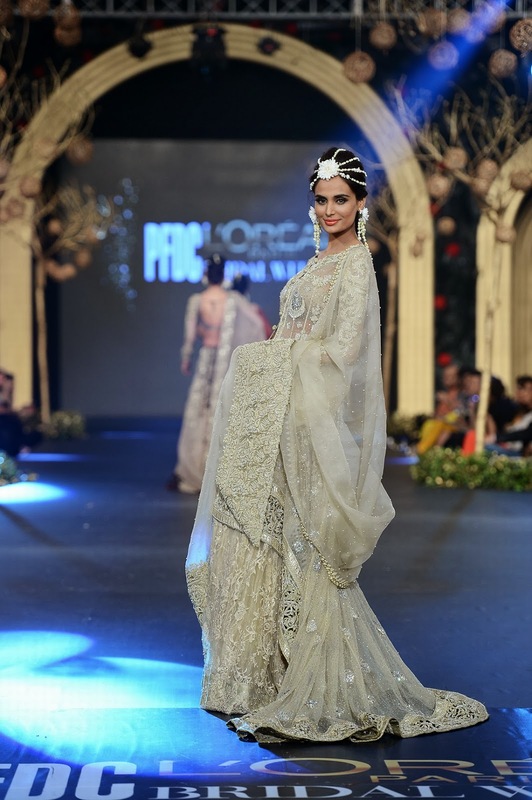 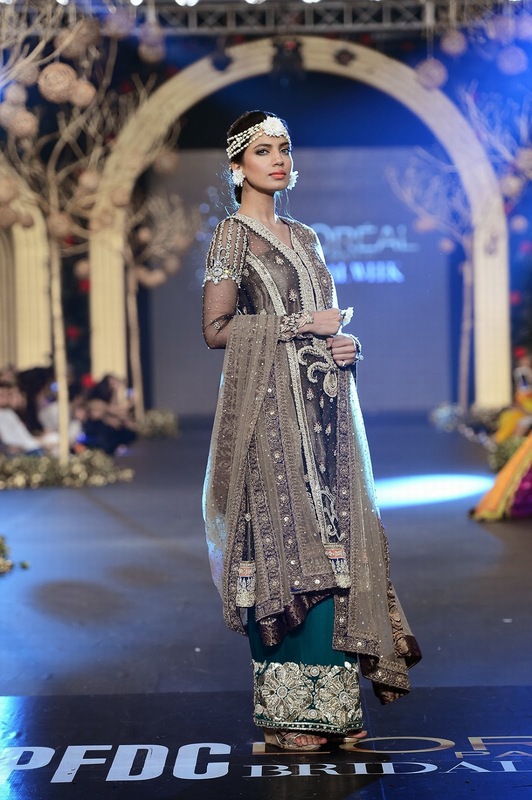 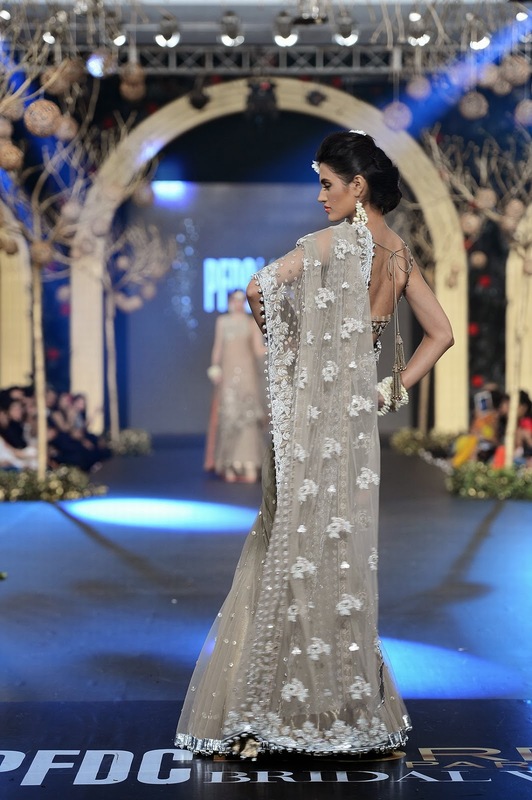 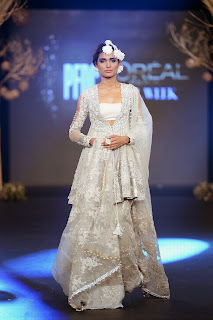 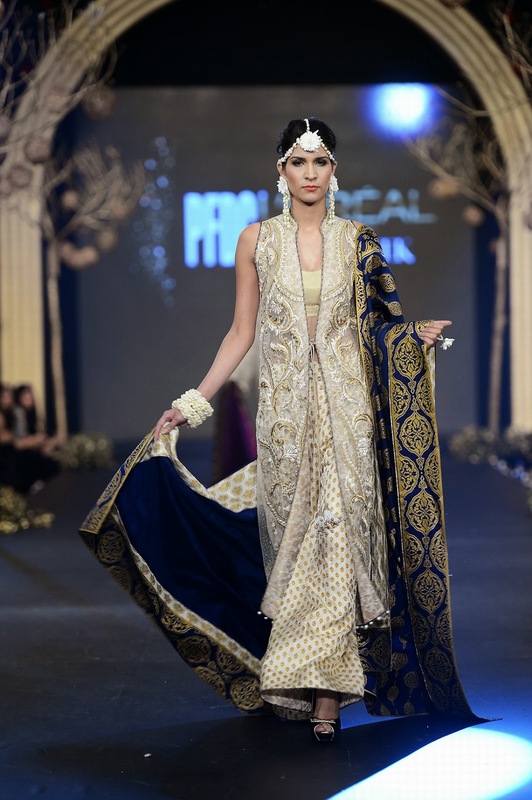 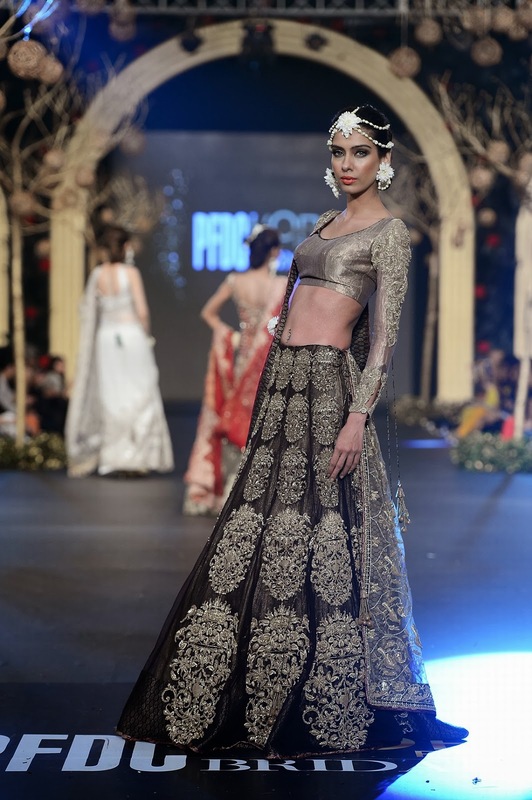 Designer label Élan exhibited their latest bridal collection titled ‘The Sultanate Collection’ at PFDC L’Oréal Paris Bridal Week. 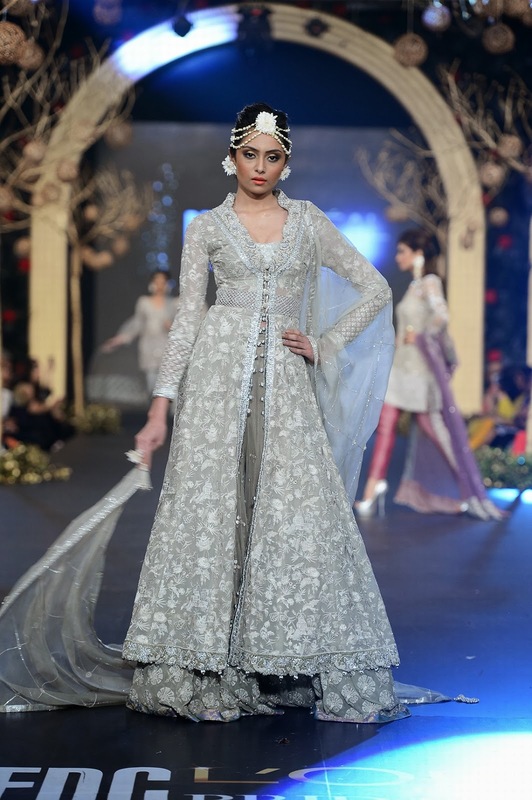 The collection drew inspiration from the pomp and pageantry of traditional eastern royalty and featured a fusion of classic and modern bridal wear. 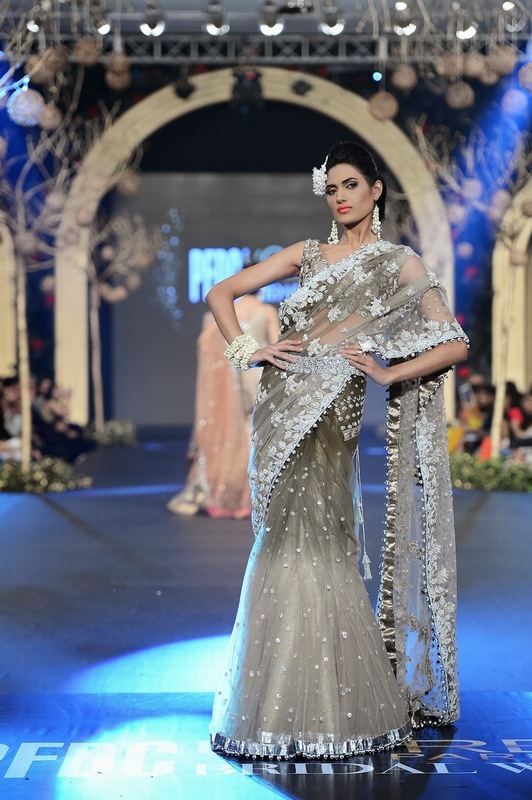 The ensemble creatively incorporated the use of nets, laces, organza and variations of sheer fabrics in a dynamic range of shades including pastels and jewelled tones. 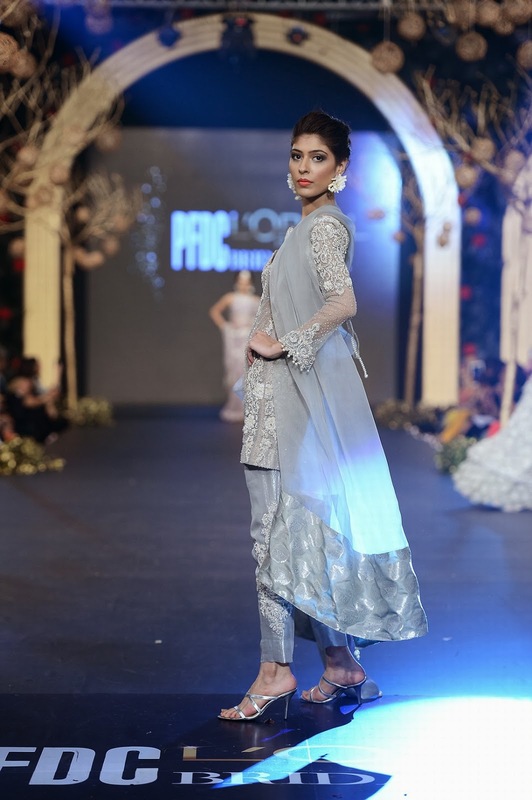 The silhouettes employed in the collection were a departure from established norms and featured a mixture of feminine cuts and shorter lengths. 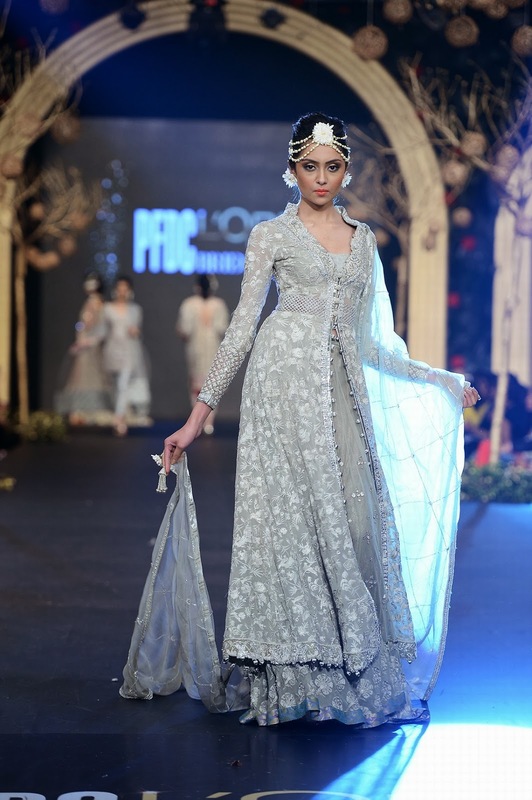 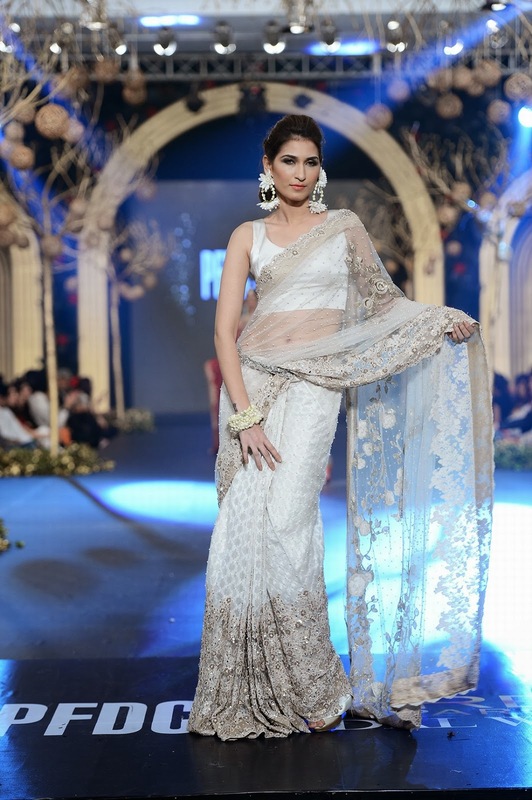 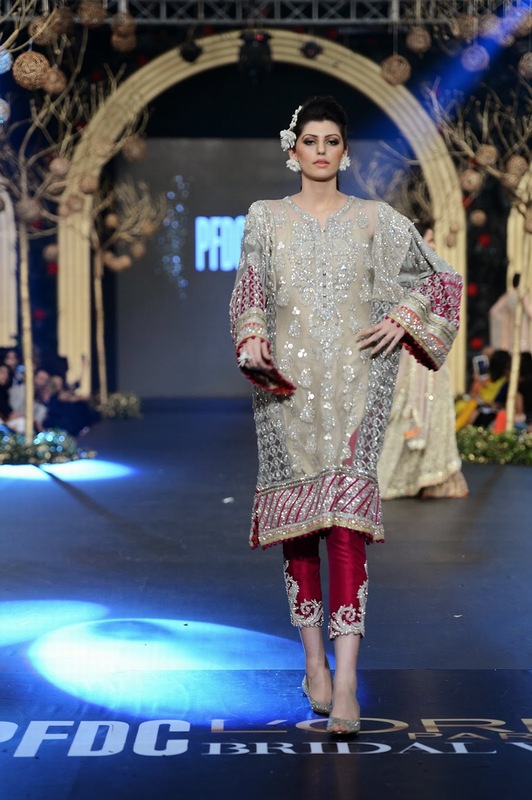 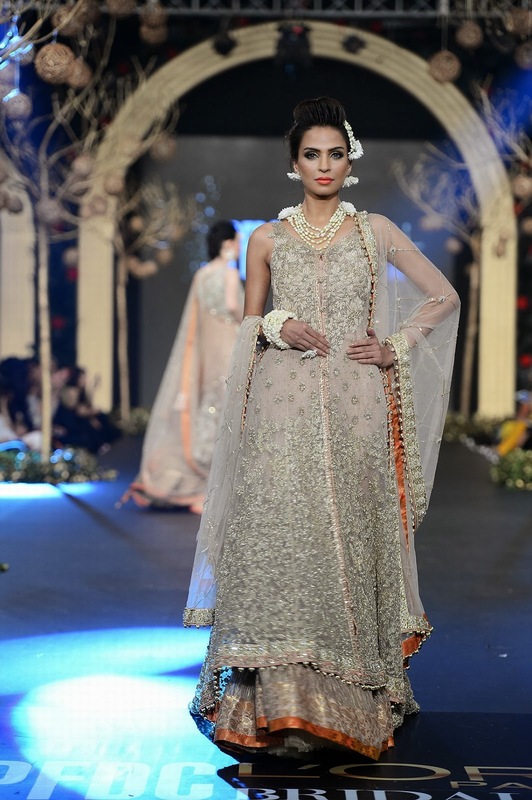 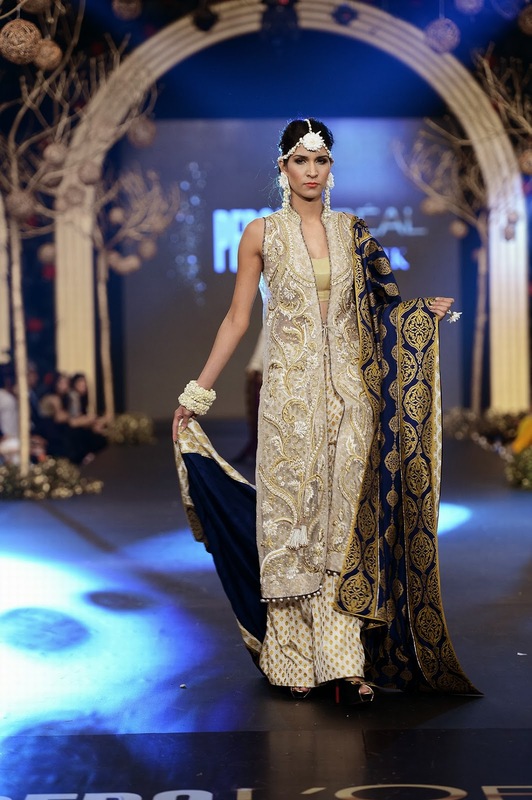 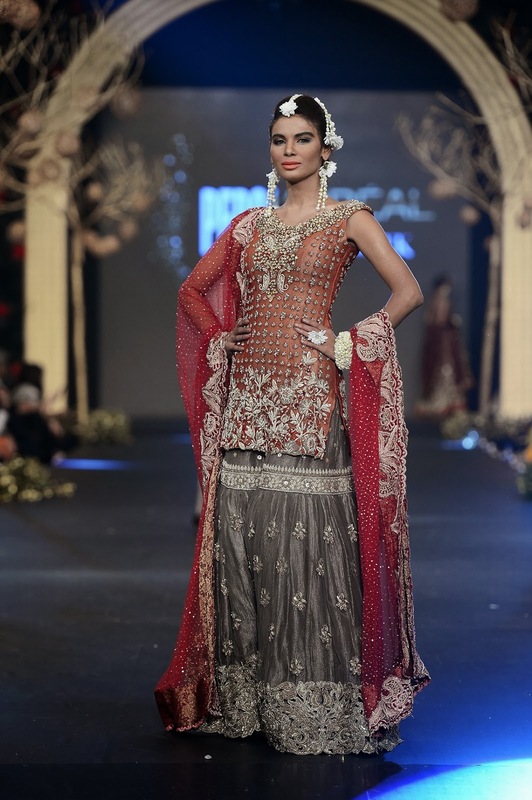 Pearl sequins, resham and gota were imaginatively used as embellishments and highlighted the overall fusion of traditional and modern bridal fashion.